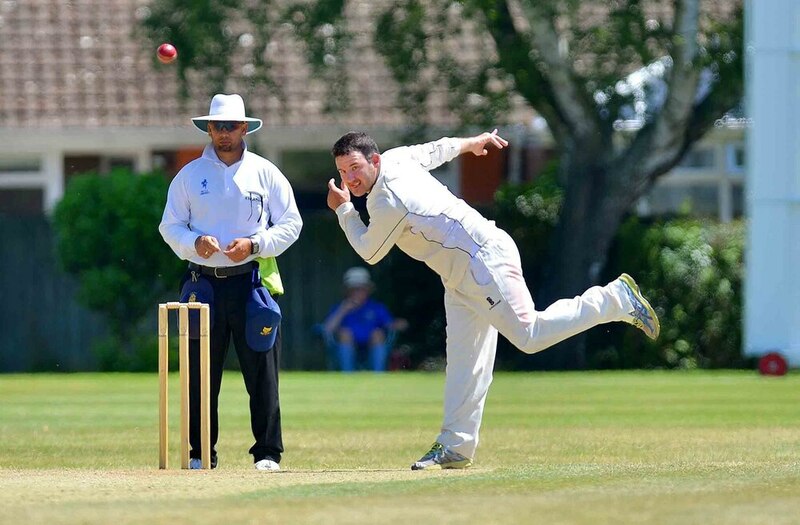 Warrick Fynn was the star with bat and ball as Shropshire ended day two of their Unicorns Championship clash with Dorset in a commanding position. Spinner Fynn picked up four wickets as Shropshire dismissed the home side for 192 to claim a first-innings lead of 118. And, just as he did first time around, the Oswestry ace top scored as the visitors set about working themselves into a winning position in the three-day clash at Bournemouth. Fynn made 61 as Shropshire posted 211 in their second innings to set Dorset a run chase of 330. Alex Wyatt struck early to remove Josh Digby but Ben Wells and Luke Webb dug in to ensure there was no further damage as the hosts reached 34-1 at stumps still needing 296. Starting day two on 65-2 replying to Shropshire's 310, Dorset added just four to their overnight score before Alex Eckland was caught by Gurjit Sandhu off Fynn for 17. A fourth wicket partnership of 51 between Edward Ellis and Webb got them back on track before Sandhu made a vital breakthrough when he had Ellis caught and bowled for 34. Josh McCoy lasted just 12 balls before he was trapped in front by Fynn for two during a wicket maiden to leave the hosts on 125-5. Webb, who had started the day on 19, brought up his half century off 134 balls. Webb and skipper Chris Park saw their side past 150 before the latter became Sam Whitney’s first victim, out for 11 with the score on 158. Jigar Naik had claimed five wickets on day one but the former Leicestershire off-spinner was soon heading back to the pavilion when lbw to Kervezee without scoring. Webb's resistance was finally broken when he offered Fynn a catch off Kervezee for 74. And Shropshire showed a ruthless streak to take the final two wickets for just three runs, Kervezee finishing with 3-19. Shropshire wasted no time building on their advantage, Omar Ali smashing the second over of their second innings for 14. Ali hit 36 off 34 balls before his opening partnership with Steve Leach ended on 61 when he was bowled by McCoy. Skipper Leach departed in the next over, caught by Eckland off Digby for 19. Kervezee made just three before being trapped lbw by Naik before Dorset's Jon Legg took centre stage, taking six of the remaining seven wickets to finish with figures of 6-58 off his 15 overs. Shrewsbury captain Will Parton (30) was his first victim, given out lbw, and when he had Joe Carrasco stumped for six Shropshire were 122-5. Ross Aucott made 28 as he and Fynn put on 50 for the sixth wicket, but that was the last significant contribution from elsewhere. Simon Gregory and Whitney went for two and seven respectively. Fynn saw the score to 200 before he was ninth man out, caught by Ed Bartlett off Legg. Naik had Wyatt lbw for eight to end the innings, but Shropshire will feel they have enough runs on the board.